At the start of every winter season, the ACC maintenance team gives the hut a full servicing (and shovels a ton of snow) to make sure it’s up to snuff for the incoming skiers, who regularly book the hut full until May. The following photos were taken during this winter’s servicing period. A hut can simply be a basic roof over one’s head, but that isn’t just the case with the Fairy Meadow Hut. 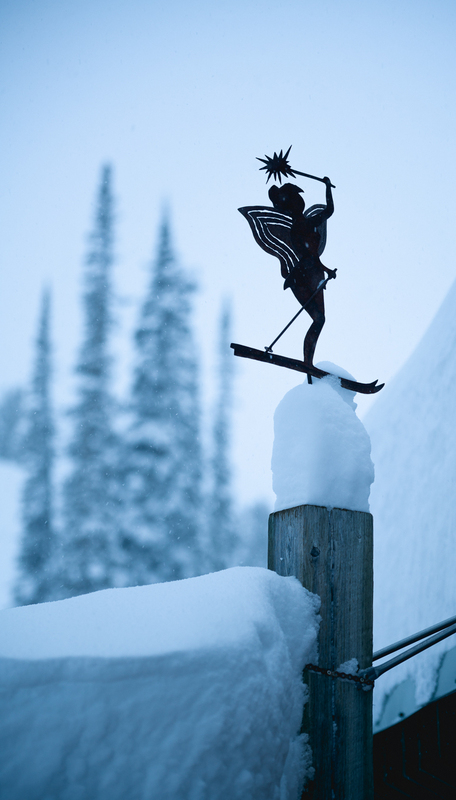 Since the hut’s inception in 1965 it has seen several renovations, transforming it into a two-storey deluxe backcountry destination. With a complete propane system which includes an oven for baking, two very efficient wood stoves for heating and a nicely setup cooking area, comfort is guaranteed. There is sleeping space for 20 on the second level and a spacious common room with adequate space for hanging gear. 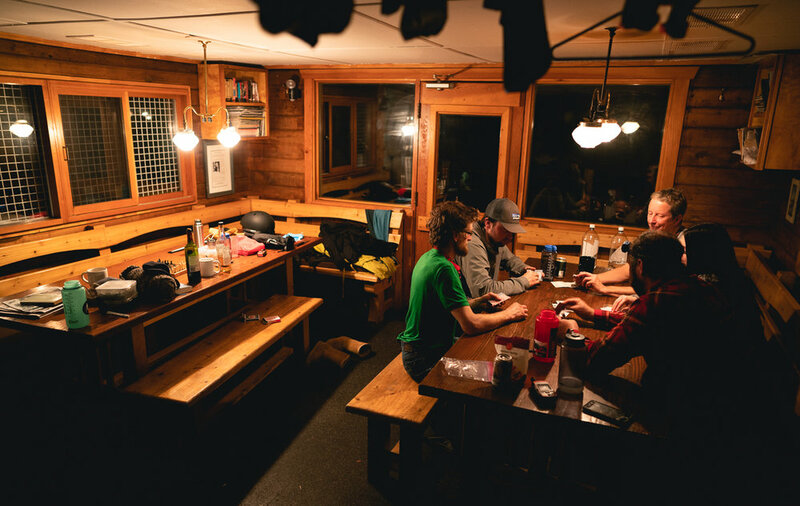 Nothing screams “backcountry luxury” quite like having your favourite pals and beverages gathered into the warm ambiance of a hot sauna. Relax your legs and mind after a long day out with some heat therapy and the glow of a fireplace. The sauna fits approximately 10 people and features two levels of seating - buckets and ladles are available to douse the rocks for steam. After the sauna a shower is available just outside the door, with hot water available from a tap in the sauna’s wood-burning stove. BONUS: If you need a little pick-me-up, take an invigorating roll in the snow and zip back into the sauna! The hut was built in 1965 by the ACC as a project proposed and largely overseen by Bill Putnam. The hut was a more modest size until it was discovered that the roof could no longer support the snow it was receiving, prompting the construction of a second floor and the addition of many other amenities. Because of the hut’s advantageous location to steep and varied terrain, it has been the home to four separate GMC camps since 1981. For Bill’s large contribution to overseeing the construction of the hut, he was awarded the Distinguished Service Award and an Honourary Membership in the ACC. Additionally, the hut was officially re-named the Bill Putnam (Fairy Meadow) Hut in 2003. Today the hut is visited by both casual outdoor enthusiasts and industry-leading athletes, and has been the scene for various films and productions, including Hans Gmoser’s last film, “Rendezvous in the Selkirks”. There’s something special about not hearing the sound of a car or seeing the sight of a road or building* for a week. The gears of our society continue to turn at a quickening pace, but it all slows down when you’re in the hut, surrounded by the glaciers and granitic towers of the Adamant Range. Take in a big deep breath. Long glacial runs, steep treed lines, couloirs, pillows, peak bagging and moderate slopes are accessible from this amazing venue. 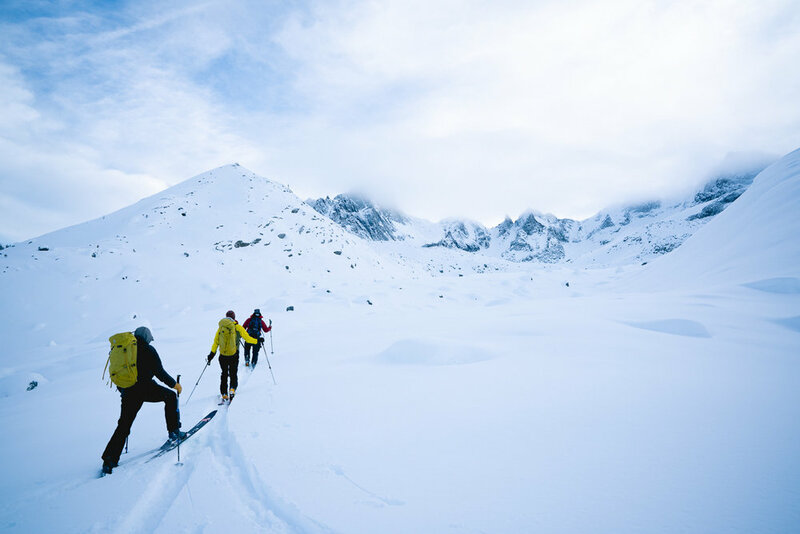 Ski tours based from this hut range from short day laps out the front door, to full day tours which take you across the glaciated landscape to the surrounding peaks. There’s something for everyone and in almost any condition. You will no doubt understand why Bill Putnam and Ben Ferris suggested this location after you visit for your first time. Several maps and books are available at the hut to help you choose your lines for the day! Even if you are capable of self-supported excursions into the backcountry, the luxury of flying in all of your gear is something that we can all indulge in once in awhile. All those creature comforts we skimp out on for weight-savings can now hitch a ride on the heli too. 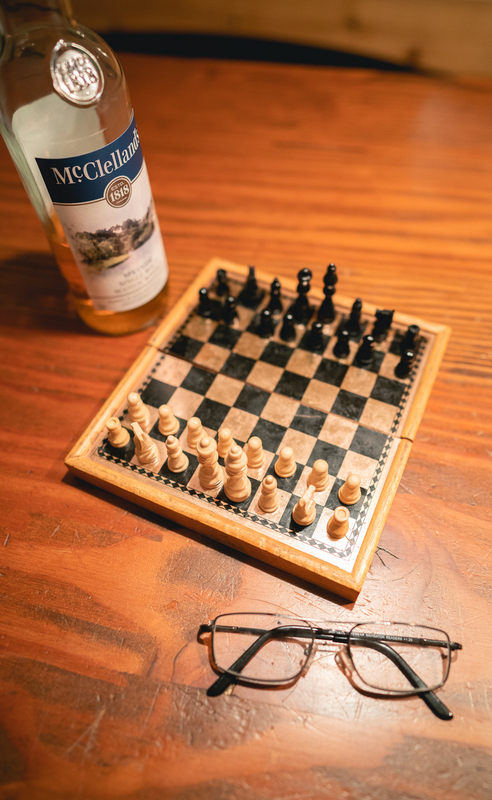 Which means that special bottle of single malt you’ve been saving can now enjoy the vacation as well. Perhaps the more (visually) celebrated aspect of heli rides is the view - you’ll have to experience this one for yourself though if you haven’t already. There’s nothing quite like seeing the aesthetic bends, turns and rises of our great landscape from above. There are few things in life that are truly priceless; two of those things are good memories and strong personal relationships - they reach deep into us in a way that our favourite skis or jacket just can’t. So wait - how does being at Fairy Meadow facilitate this more than anything else you may be doing outdoors? Well, you stick a bunch of people together in a remote backcountry hut, take away cell reception, insert everyone’s favourite beverages and mix in some of the best terrain and powder in the world. Perhaps one of the most difficult things, and oft underestimated detriment to our ability to build relationships, is finding the opportunity to unplug and connect. No phone calls, no emails, just face-to-face conversation… scary - we know! Book your stay at the Fairy Meadow Hut!